As parents, we are tasked with both providing direction and finding a center for our family. But, when today’s children are living amidst a barrage of mental, physical, and digital clutter, how are we to navigate a world of too much stuff and too many choices? To sort out how the power of less results in calmer, happier children, we turned to internationally renowned family consultant and Simplicity Parenting author Kim John Payne. “Parents need to relax,” says Payne, who encourages mothers and fathers to “question the ‘new normal’ of the fever pitch of life and introduce small, doable changes” to find a rhythm for their family. 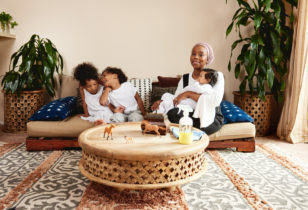 By backing off and consciously saying “no thanks,” Payne claims parents and children will “gain time, connectivity, security, and ease.” Here, 10 takeaways from his Simplicity Parenting philosophy. Which will you implement into your family life? Avoid overscheduling. Dialing back your family’s activities is an obvious place to start. All manner of extracurriculars are available to children, many beginning at very early ages. But, by nature, young children are not equipped for the to and fro that comes with a jam-packed, hurried day. (Is anyone, really?) Furthermore, the pressures of participating, performing, competing, and, particularly, excelling are demanding. “Not everyone is going to be exceptional at everything they do,” says Payne. “What we want for our children, truly, is engagement. We want their love of the cello to grow, to evolve, and endure throughout their lives, whether or not they perform, whether or not they are ever exceptional cellists.” By moderating extra activities and focusing on essentials, you allow your family to function at a sustainable pace. Embrace ordinary days. Avoid striving to make every day exceptional for your child. Every day is not exceptional, and setting that expectation is ill-advised. “When every note is a high note, children loose the ability to fully engage in the present and to regulate their own time,” says Payne. “Ordinary days are the sustaining notes of life.” Learning to appreciate the simple pleasures of an ordinary day builds character and encourages children to live life with an appreciation for the moment. Reduce toys. 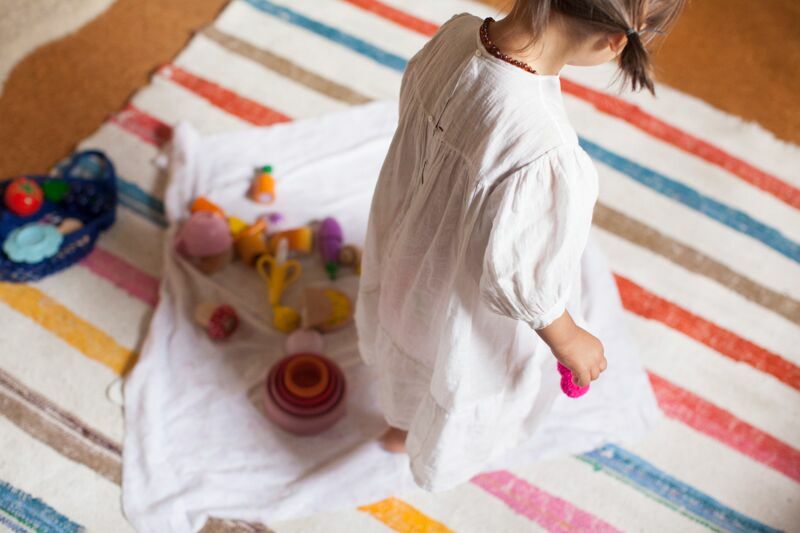 Simplifying play makes parenting easier. “The number of toys your child sees, and has access to, should be dramatically reduced,” suggests Payne. Discard toys that are broken, multiples (no one needs seven stuffed bunnies), or just plain annoying. Keep open-ended toys, such as blocks and simple dolls, and a small selection of art supplies. Allow a few favorite toys to be accessible to your child at any time. Beyond that, use baskets and bins to reduce visual clutter and store toys that can be pulled out to play with. Require children to play outside often, and, perhaps most importantly, give them the gift of boredom. Boredom facilitates basic creativity and resourcefulness. Create a simple, safe play environment for your children and then just let them be. Cut back screen time. Payne encourages parents to minimize screens—televisions, computers, phones—in the home, particularly while children are young. Early childhood is a time of rich, complex growth, explains Payne. This growth is fostered in a few basic ways, including interacting with other humans and exploring the environment. Screen time directly takes away from that. Payne boldly recommends removing televisions from the home all together. When that can’t be done, he suggests moving TV’s and computers out of the family room and into the parents’ bedroom, a den, or family office. He advises that children under seven not use computers, video games, or handheld devices, and that children should not have television in their bedrooms. At the very least, he advocates following the American Academy of Pediatrics guidelines—children under two should not be exposed to television or videos and that exposure should be limited for those two and up. Simplifying in this way promotes active engagement with the world, Payne claims, and will expand your family’s free time, making room for new, fun leisure habits. Filter out the adult world. Payne discourages speaking too openly to children about too much. Sharing adult concerns with them, even in the spirit of honesty, can be harmful. When something is beyond a child’s frame of reference, they are not able to process it in context. “Not only do they lack context for the information, they lack the foundation that childhood slowly provides,” he says. “The foundation of years of relatively safe observation, interaction, and exploration. Too much information does not ‘prepare’ a child for a complicated world, it paralyzes them.” There is a value in not sharing. By acting as a filter for children, parents reduce stress and establish boundaries. “[Children] need to know that some things are for adults to discuss; they are not for kids to hear, or to comment on,” says Payne. Sleep. “Sleep is the ultimate rhythm,” contends Payne. “Most children between two and six need eleven hours of sleep. From ages six to eleven, some kids can do well with ten hours, but that number will go up again—to eleven or even twelve hours—during adolescence.” For a variety of reasons, the value of sleep cannot be understated. If bedtime is a battle in your house, incorporating Payne’s concept of “pressure valves” into your days can help ease the transition into sleep. A pressure valve is simply time built into the day to decompress. Naps are the obvious choice. “A quiet rest time during the day is something to hold on to for as long as possible,” says Payne. Even older children (and adults!) benefit from the habit of a bit of solitary quiet time during the day. Other opportunities to allow children a moment to relax include an after-school snack, that moment of silence before dinner, a bedtime story, or even a project. Payne mentions simple things—digging a hole, building with blocks, catching lizards. “Any activity a child can ‘lose himself in’ allows for a release of tension, and the mental ease needed to process the day’s events,” he says. Providing your children with these opportunities for release encourages the security and connection that they need to surrender to sleep. Work together. In a two-parent household, share in the parenting tasks of daily life. It is common for mothers to become overinvolved, but a balance of involvement benefits both the children and the partnership. “Of the many parenting tasks that must happen every day, dads need to move some to their side of the ‘full responsibility’ list,” says Payne. “That doesn’t mean that parents shouldn’t have some areas of shared responsibility, and spend time together with daily life tasks. But the work of child care can fill almost every crevice. 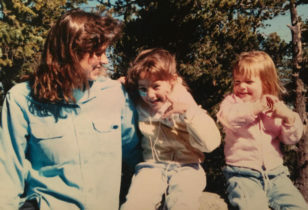 And for one person to really get a break, to really let go of a task mentally and physically, the other must do it consistently, with no need for requests or reminders.” When each parent takes exclusive responsibility of several aspects of daily life, their understanding of their child, their child’s connection to them, and their relationship with one another deepen. Value family time. A generation ago, setting aside a day for family at the end of the week was common. “That Sunday ‘feeling’ was usually one of increased quiet. It was very often a ‘family day,’ whether that meant the immediate family, or a bigger, extended family group sitting down for supper,” says Payne. “Many people avoided commerce, and the work of the week was put aside.” Today, when cell phones allow nearly everyone to be perpetually reachable, it seems increasingly harder to incorporate these moments, but parents should try. “Not all families can set aside a whole day of the week for quiet family time, but we can still carve out some moments. Doing so adds balance to busy days and establishes boundaries. As you refuse to answer the phone during dinner the message your kids get is ‘Right now, we’re together, sharing this meal.’” Create a ritual that works for your family, and enjoy your moment of pause. For more ideas about how to simplify your parenting experience, check out Simplicity Parenting: Using the Extraordinary Power of Less to Raise Calmer, Happier, and More Secure Kids.